It's a meal fit for a king, queen and up to 25 of their hungry guests. 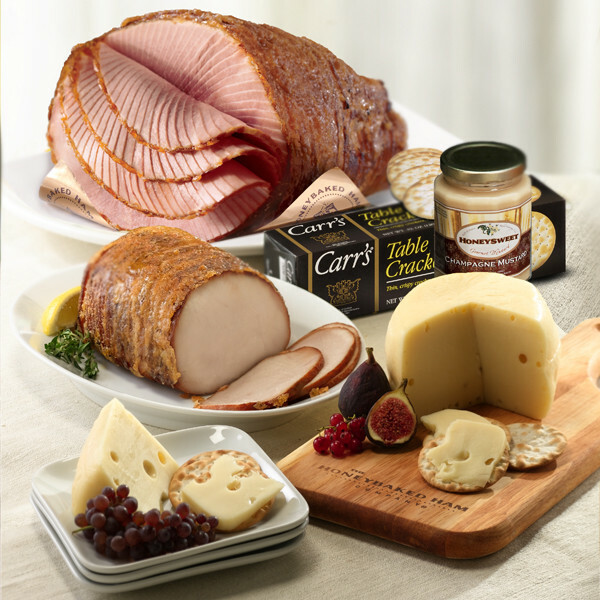 Our Royal Feast features a 7Lb HoneyBaked Ham – Our moist, tender glazed HoneyBaked Turkey Breast, Baby Swiss Cheese, gourmet crackers and a jar of Champagne Mustard. Finally, we’ve included a keepsake wood cutting board to help you present your awe-inspiring feast to all assembled.